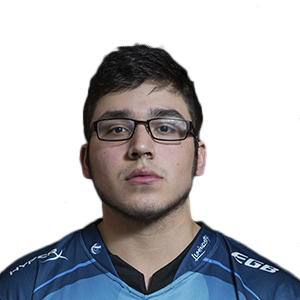 A long-time veteran with tenures in teams such as OpTic Gaming, FaZe Clan, Team EnVyUs, and Luminosity Gaming, Renato "Saints" Forza has accumulated dozens of achievements to his name, including 1st place wins at the Call of Duty Championship US Regional Final, UMG Dallas 2014, and MES Detriot 25k. Saints gets his alias from his favorite soccer team, the Santos FC. 1st: Call of Duty Championship US Regional Final, UMG Dallas 2014, MES Detriot 25k.